When I was a little girl, my grandma – whom we called Nanay – wouldn’t hear the mass without her wallet, hankie, and hand fan. She had more than one hand fan and being the curious little one, I’d use hers during the First Friday Masses at school. They aren’t ordinary hand fans, though. My grandma was fond of anything elegant that’s why the hand fans she owned were really classy. Now, when I go to church, I seldom see women fan themselves with beautiful hand fans. Unfortunately, the ‘alternative’ hand fans they use are cardboards with advertisement on them and round cloth fans from the recent political campaigns by the candidates. 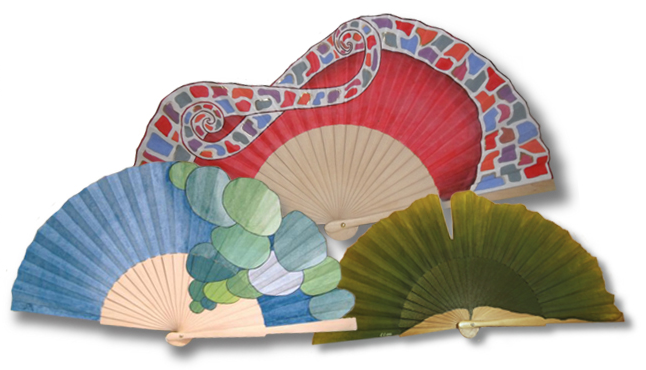 Luckily, I came across Fashion Hand Fans, an online shop that sells one-of-a-kind hand fans made from Spain. Did you know that hand fans were from Egyptians and Asians? I wasn’t surprised because I saw Chinese paintings with women holding big hand fans. Here in the Philippines, hand fans are widely known as “abaniko” or “pamaypay”. Correct me if I’m wrong, but hand fans were quite popular in my country during the Spanish era as they were a symbol for modest ladies. These hand fans were used to cover their mouths when laughing, especially in front of gentlemen. Basically, they were a tool for communication back then. I’d love to learn the language of the fan. So let’s get to the real deal. 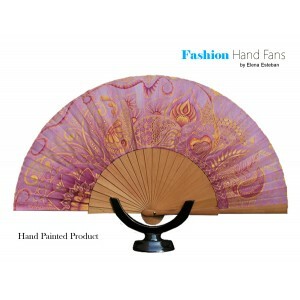 Besides the attractive and stunning fans they offer, Fashion Hand Fans’ creations are all hand-made. Isn’t it amazing? I mean, it’s never easy to make a hand fan with your bare hands but FHF is able to do it. They have great artists that have a wide range of imagination for the designs. In fact, I’ve already set my eyes on 3 fans that I think would set me apart from everyone else. Silvia Ruso’s From The Sea and Gaudibear interesting colors that are hard to ignore. Hey, it’s the first time I saw that kind of design for a fan. Elena Esteban’s Samarkandreminded me the Indian goddesses for its refined details. I’d definitely carry this everywhere I go so everyone can see how fabulous hand fans are. Wait, there’s more! 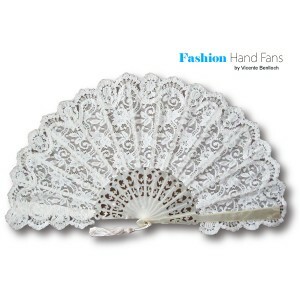 Fashion Hand Fans have categorized their to-die-for fans – which are available from 31,99€ to 95,99€ – into 5 classifications namely: Urban Fantasy, Nature, New Classic, Vintage, and Wedding. I’m not done just yet. 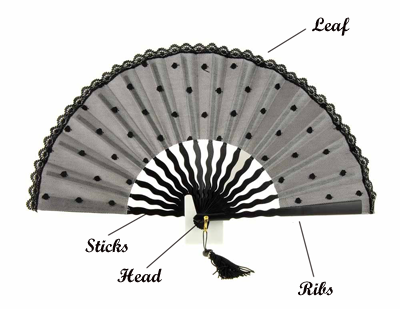 Fashion Hand Fans values their customers so much that they actually offer customizationfor the fan of their choice. How does it work? You can have your hand fan designed after your favorite dress or even shoes. Send them a photo of that item you want to take inspiration from and Fashion Hand Fans will make the budget for you. Easy-peasy, isn’t it? Take your pick, dearies. Fashion Hand Fans ship worldwide so you need not to worry about a thing. All you have to do is visit their site and create an account so it’ll be easier for them to send your orders. What are you waiting for? Go click, click, and click! Happy hand fan shopping! Here are Fashion Hand Fans’ accounts for your reference: Facebook, Pinterest, and Blog. Don’t forget to hit me up with your comments! Have a fantabulous week! Thanks a lot for sharing this with all folks you really know what you’re talking approximately! Bookmarked. Please also visit my web site =). We can have a hyperlink alternate agreement between us! great issues altogether, you simply gained a new reader. What could you suggest in regards to your submit that you simply made a few days ago? Any sure? Thank you for your entire efforts on this website. My daughter takes pleasure in conducting investigations and it’s really obvious why. My spouse and i know all about the dynamic mode you render powerful tips and tricks by means of the website and in addition encourage contribution from other ones on that content then our favorite princess is undoubtedly learning a great deal. Take pleasure in the rest of the new year. You have been performing a pretty cool job. I am commenting to make you know of the fabulous experience my friend’s daughter went through viewing your site. She picked up many issues, with the inclusion of how it is like to have a wonderful coaching nature to let a number of people without difficulty completely grasp various complicated things. You actually exceeded readers’ desires. Thanks for distributing such good, trustworthy, edifying and even unique tips about that topic to Julie. Excellent goods from you, man. I have understand your stuff previous to and you are just extremely fantastic. I actually like what you’ve acquired here, really like what you’re saying and the way in which you say it. You make it enjoyable and you still care for to keep it sensible. I cant wait to read much more from you. This is actually a terrific site. F*ckin’ remarkable issues here. I am very satisfied to look your article. Thanks a lot and i’m looking forward to touch you. Will you kindly drop me a mail? Thank you, I’ve recently been searching for info approximately this topic for a long time and yours is the best I have came upon till now. However, what concerning the conclusion? Are you certain concerning the source? time a comment is added I get fօur e-mails with tɦe same comment. Is theгe any way you can remove me from that servіce? Garcinia has garnered lots of interest of late as a popular natural weight loss aid. Neat Web-site, Keep up the excellent job. Thank you!. unique. P.S My apologies for getting off-topic nevertheless i were required to ask!